A remarkable journey from wetland to shopping center and back. 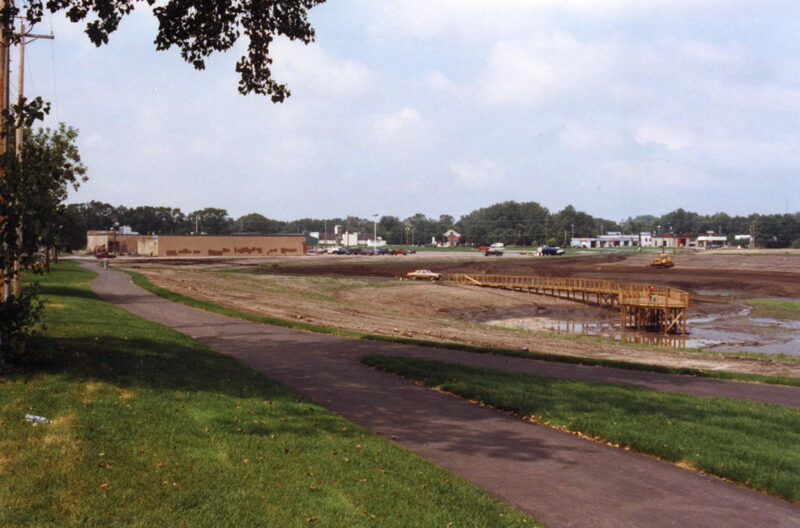 This restoration project was designed to restore a wetland (Ames Lake) where one existed prior to being filled for the Phalen Shopping Center in about 1950. The shopping center was becoming deteriorated, in part due to ongoing problems with groundwater. 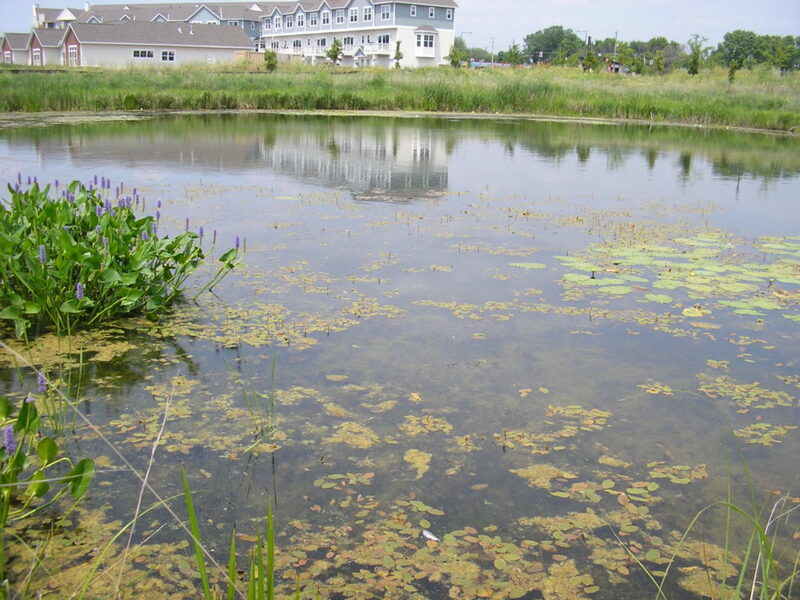 A neighborhood plan approved by the City of St. Paul identified restoration of the wetland and redevelopment of the area as a revitalization plan for the community. 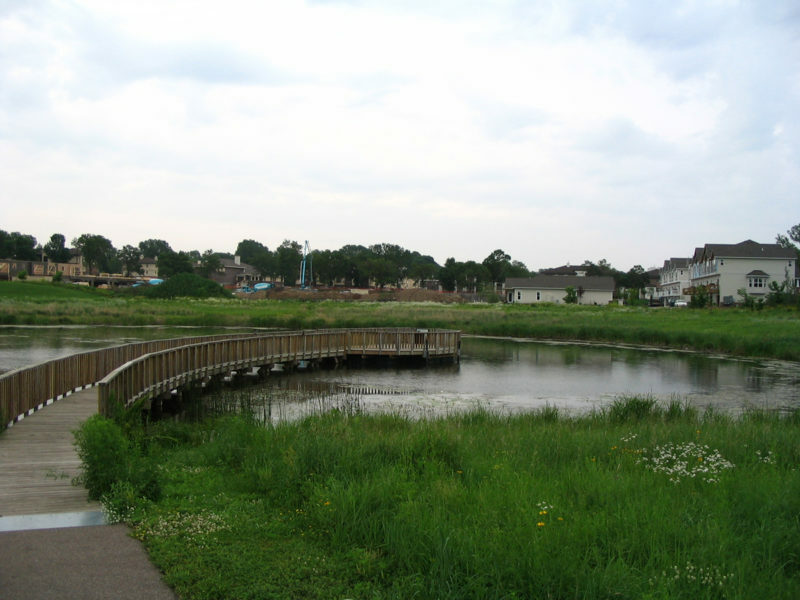 With technical design from the District and funding from a number of sources, the project included realignment of Prosperity Avenue and construction of wetland elements. This site is currently managed by St. Paul Parks and Recreation Environmental Services with support from the District.